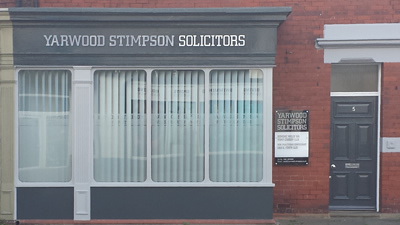 Welcome to Yarwood Stimpson Solicitors’ website. We are a firm of solicitors based in the North East of England. We deal with buying and selling domestic and commercial property, the law relating to family breakup, and wills, probate and elderly client work. We are accredited by the Law Society in Conveyancing Quality and Family Law. We believe in providing a first class customer service. With our caring and friendly approach, clients can feel relaxed and in good hands. If you are planning on moving house or buying a home for the first time, why not get a free, instant, no obligation quote?